The BEIERHAASCHT can accommodate up to 130 people on the ground floor and 60 people in mezzanine. Here you can hold any kind of reception such as for example welcome drinks, cocktail parties, weddings, anniversaries, family celebrations, special occasion parties, or dancing dinners. Your guests and you will be captivated by the presentation of our table as well as by the quality and diversity of our products. We fully acknowledge how important good preparations for such an event are. 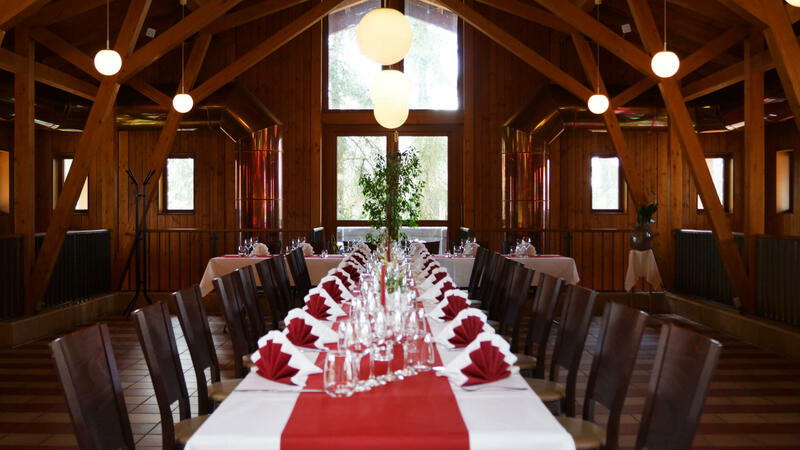 The Beierhaascht offers you a team of qualified professionals who will guide you through the organization and preparation of your private or business event. We will strive to meet your expectations. We are prepared to offer you already a range of ideas, contacts, suggestions and menus.